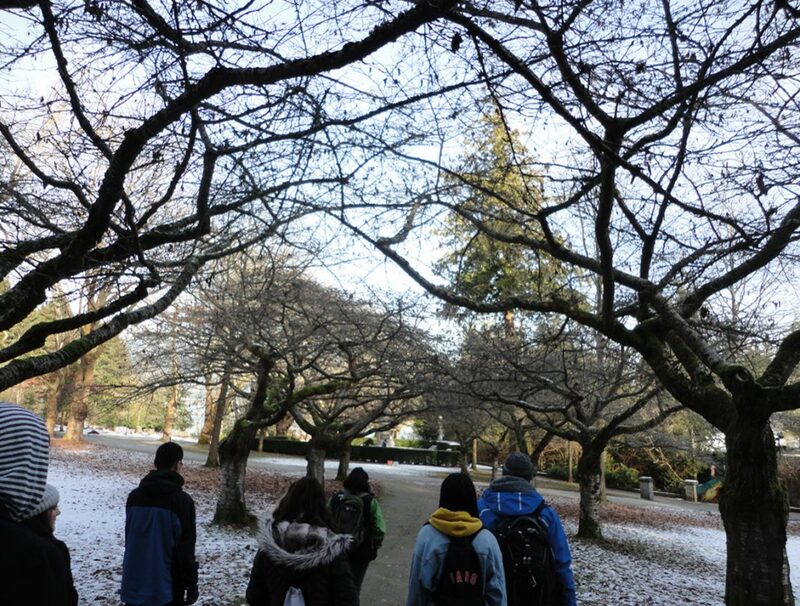 Mr. Chan's Geography 12 class went on two part field trip to Vancouver. 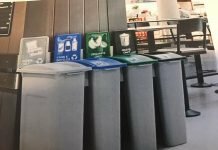 Riverside Secondary students have shown that they really care about the environment, especially with the adoption of new composting bins and the success of the blue bin recycling program. 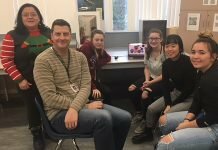 Mr. Brian Chan, who teaches Geography 12, took his class on a two-part field trip to the Downtown Vancouver area where they learned about sustainability and how the aboriginals have traditionally used their land. The first part of the field trip was a plant study tour around Stanley Park with an aboriginal woman showing the class how the land has been traditionally used, without all the resources people in this generation have. The point of the trip was for students to learn traditional ways to survive that were more sustainable for the environment. 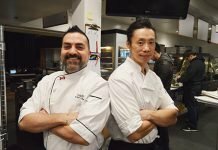 The second part of the field trip was Mr. Chan’s class going to a restaurant called “Forage” on Robson Street in Vancouver. This part of the trip was an extension of the sustainability unit they learned. Chef Chris Whittaker talked to the students about how the food at the restaurant is sustainably sourced. For example, instead of cows, the restaurant uses bison. Bison is more sustainable for growth because bison can move around in their space, whereas cows tend to stay locked in a smaller space with higher levels of ruined soil. Cows are also often raised in feed lots and fed grain instead of grass, which is bad for the environment. 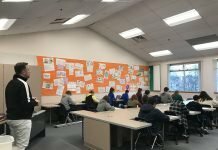 Sustainability is an important subject in this day in age, and it is key for students to learn about sustainable foods so that they have the knowledge of how foods are sourced.